On the daily chart, the instrument grows along the upper border of Bollinger band. The indicator is directed upwards, and the price range has expanded, indicating a further strengthening of the instrument. MACD histogram is corrected in the neutral zone, an entry signal is not formed. 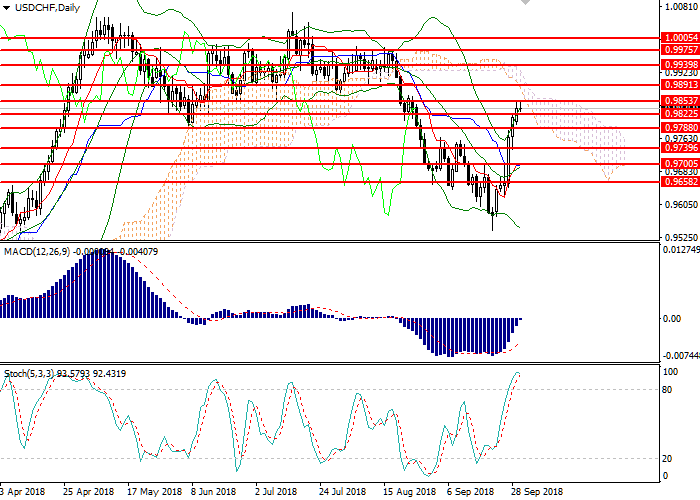 Stochastic entered the oversold area, a strong sell signal can be formed within 1–3 days. 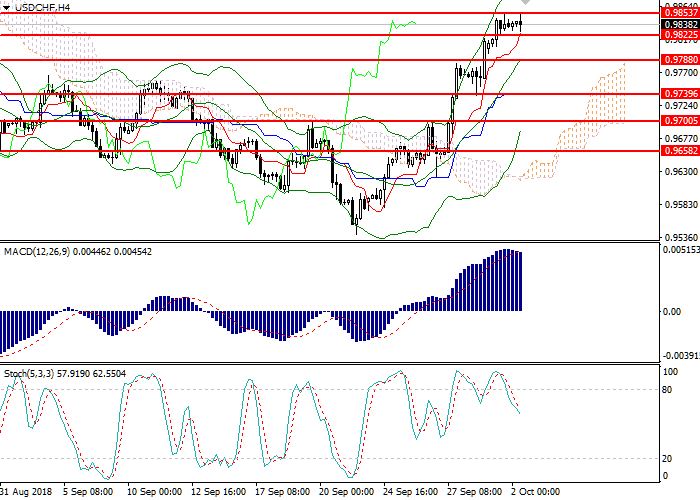 On the 4-hour chart, the instrument is trying to consolidate above the strong resistance level of 0.9850. Bollinger bands are directed upwards, and the price range has slightly decreased, which indicates a correction in an upward trend. MACD histogram is in the positive zone, holding a strong buy signal. Stochastic left the overbought area, forming a sell signal. Resistance Levels: 0.9853, 0.9891, 0.9940, 0.9975, 1.0005. Support levels: 0.9822, 0.9780, 0.9740, 0.9700, 0.9658. Long positions can be opened from the current level with the target at 0.9980 and stop loss 0.9775. Implementation period: 2–3 days. Short positions can be opened below the level of 0.9775 with the target at 0.9700 and stop loss 0.9805. Implementation period: 1–3 days.